The Insurance Control Commission organized a visit-workshop to the Insurance Authority of the UAE on 8 May 2018. The meeting involved strategic supervisory topics related to the challenges of implementing risk-based-capital models, and covered a number of technical subjects that represent priorities to both regulators. Mrs. Nadine El Habbal stated that this visit was historical as it represents the initial formal exchange platform between the insurance regulators of the two countries; the bilateral discussions are a fundamental supervisory pillar that allows better transparency and sharing of information in addition to the mutual sharing of experience. 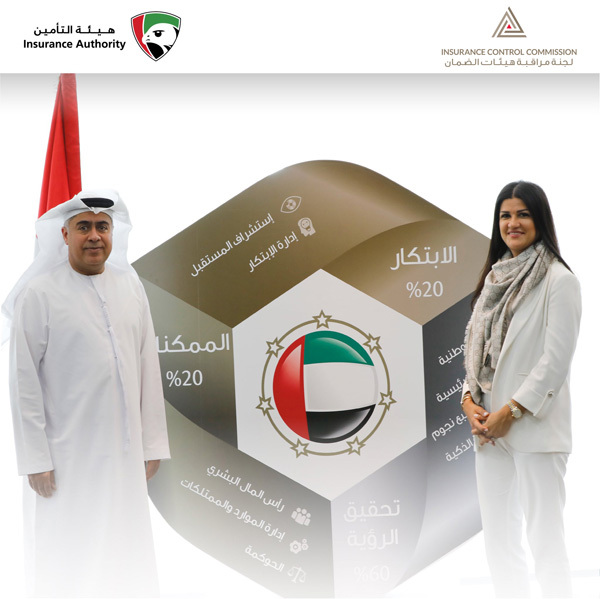 Mr. Ebrahim Al-Zeabi, Head of the Insurance Authority of the UAE, presented the strategy of the Insurance Authority and its strive for excellence along a number of targets that the government has established for the regulatory and other public-service entities.